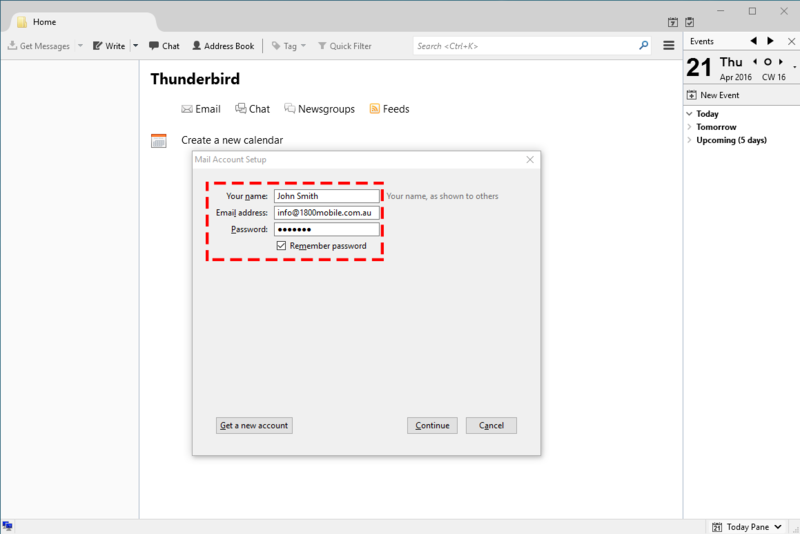 If you have just downloaded Thunderbird for the first time and are setting it up, please follow this guide, if you have already downloaded Thunderbird and are setting up a second account please scroll down to add another account. 2. 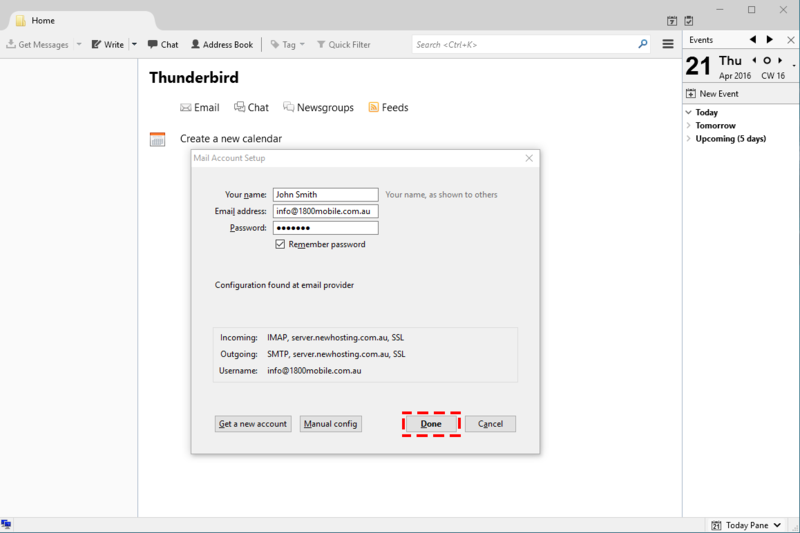 Click Skip and use my existing email. 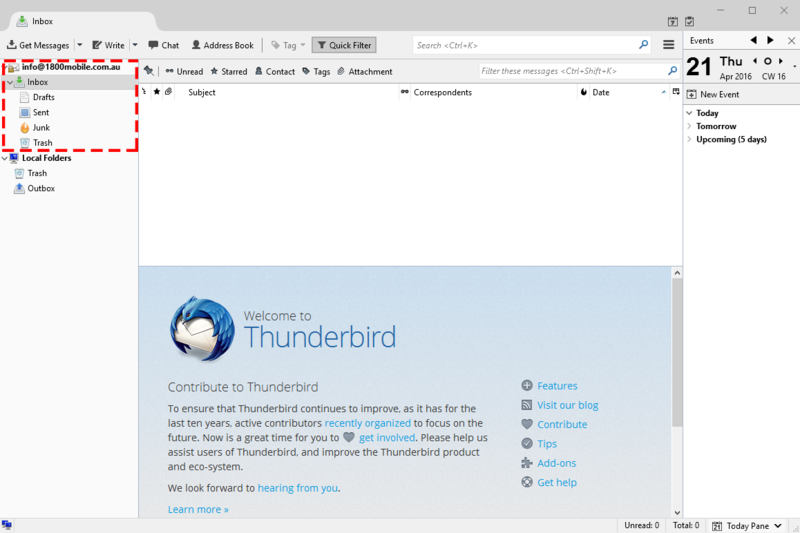 3.Enter in the following details. 5. 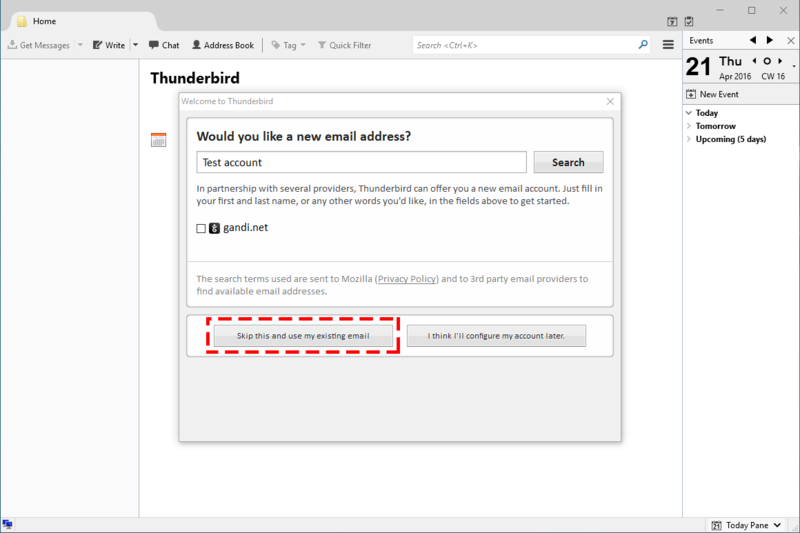 Your Email address is now set up via Thunderbird, you will see you account in the upper left hand corner.